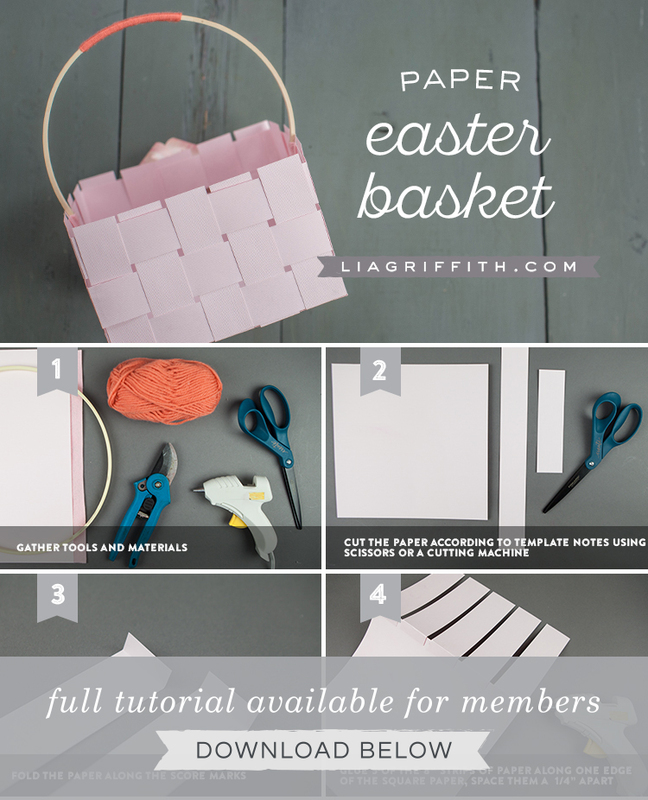 Easter is on its way and we have just the project for you. 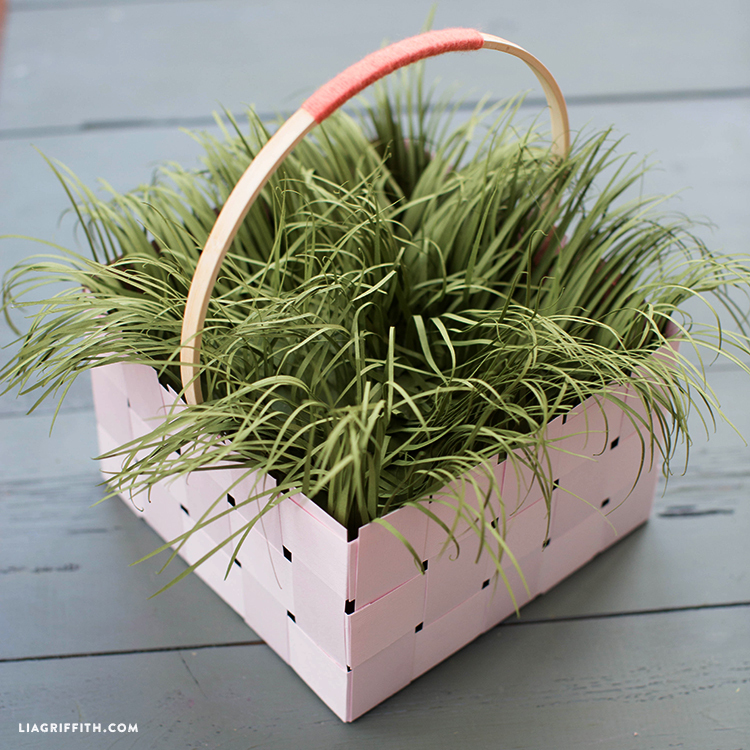 This woven paper basket with Easter grass is a great place to keep your sweets and treats. 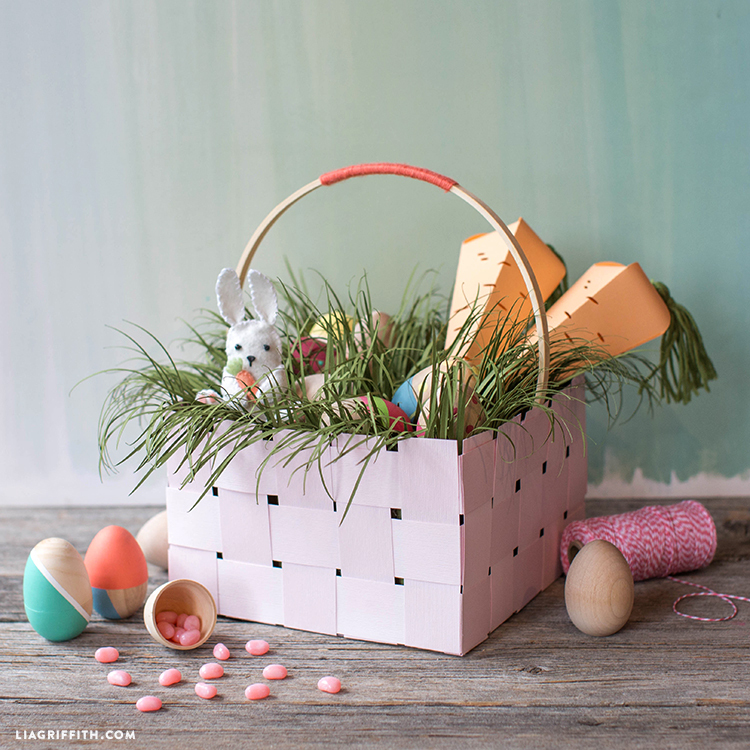 Whether you hide your baskets or put them on display, this one will certainly wow on Easter morning. 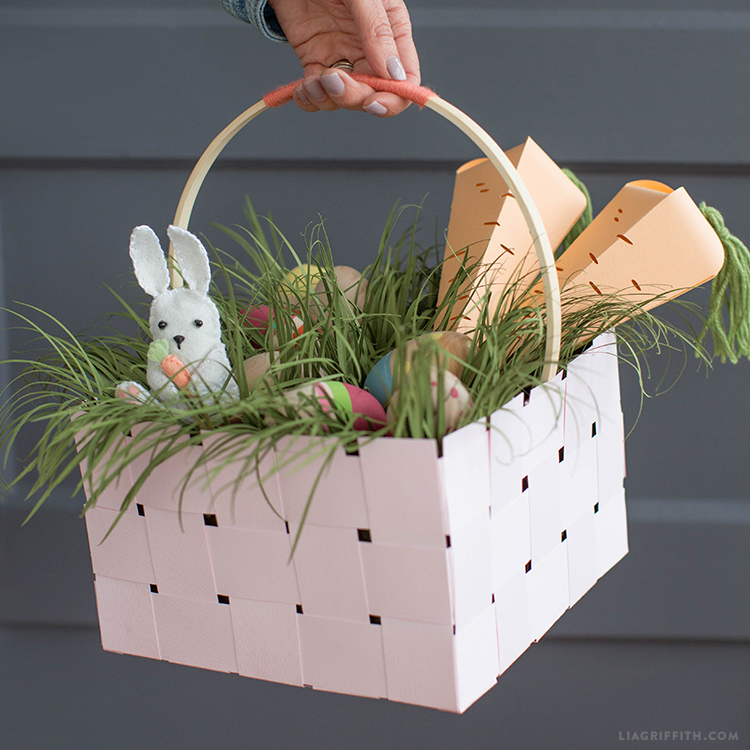 We’ve included instructions for both the basket and Easter grass below. All you have to do is gather the tools and materials and hop to it! 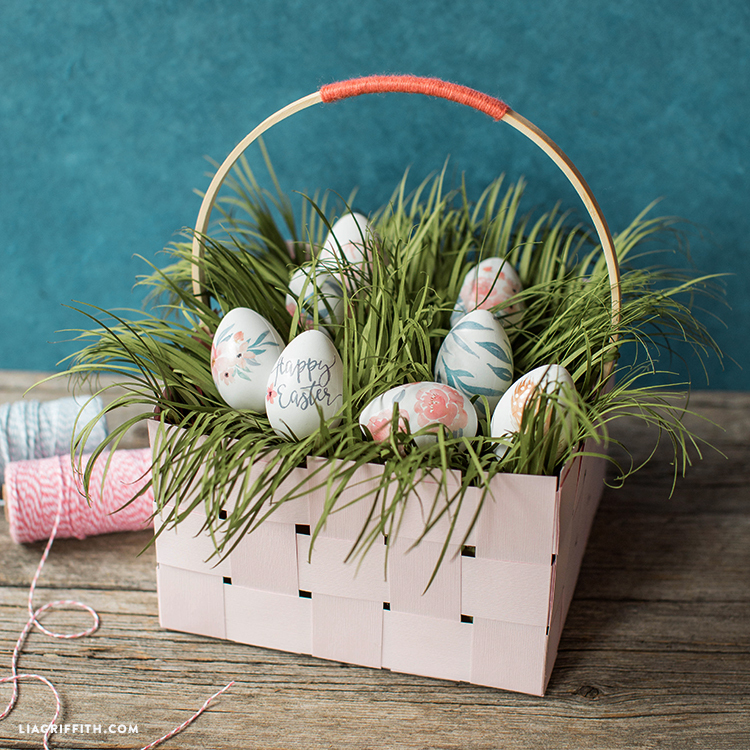 Browse more Easter projects here. Fold the paper along the score marks. Glue 5 of the 8” strips of paper along one edge of the square paper, space them a 1/4” apart. Measure and cut the foam cube to fit your basket and desired height. Cut paper according to template notes. Fold paper along score marks. 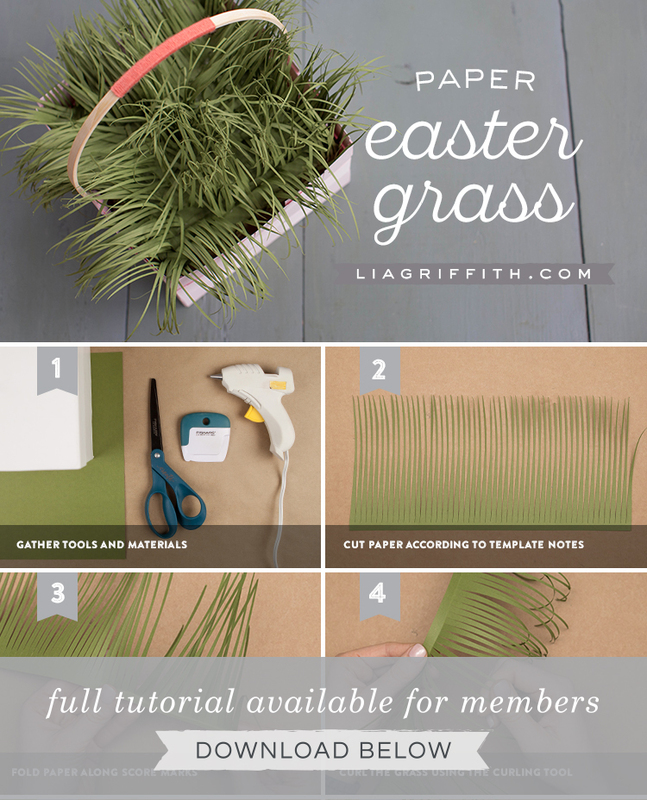 Curl the grass using the curling tool.